Is Buddhism a path to better student mental health? Cissy Suen has been on a four-month trek to enlighten herself on that question. Cissy Suen missed her convocation this June, but she had a pretty good reason. She was travelling through Asia studying Buddhism, thanks to a unique award available to McMaster students. Open to students of all levels from all Faculties, the Renaissance Award was created in 2012 by Mac grads Glen Bandiera and Jolie Ringash. Their award challenges students to think outside the box and create a learning experience that explores a subject not covered in their degree program. Third time was the charm. 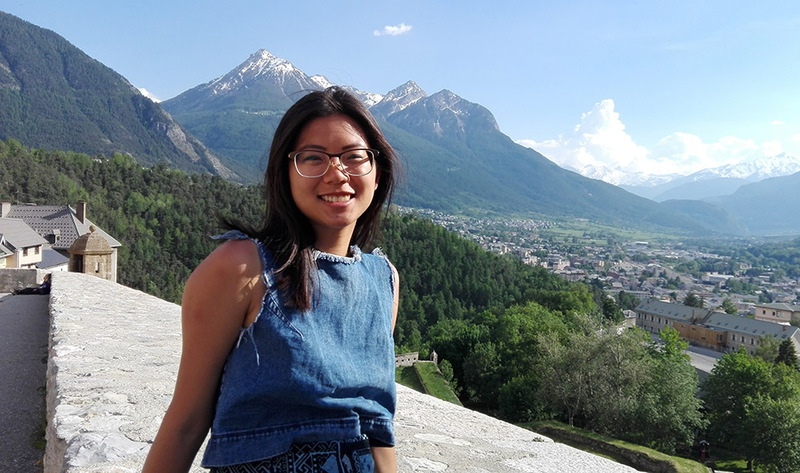 This year, Suen’s proposal focused on Buddhism and how it could potentially enhance mental health strategies for Canadian post-secondary students. Hers was one of two successful applications out of 37. When Suen learned about the Renaissance Award, she realized it was an opportunity to answer some of her burning questions, and to research how Buddhist meditation and mindfulness could potentially help improve mental health – “a subject very much related to today’s student population,” she says. Her academic advisor for the project is Mark Rowe, associate professor in McMaster’s Department of Religious Studies. 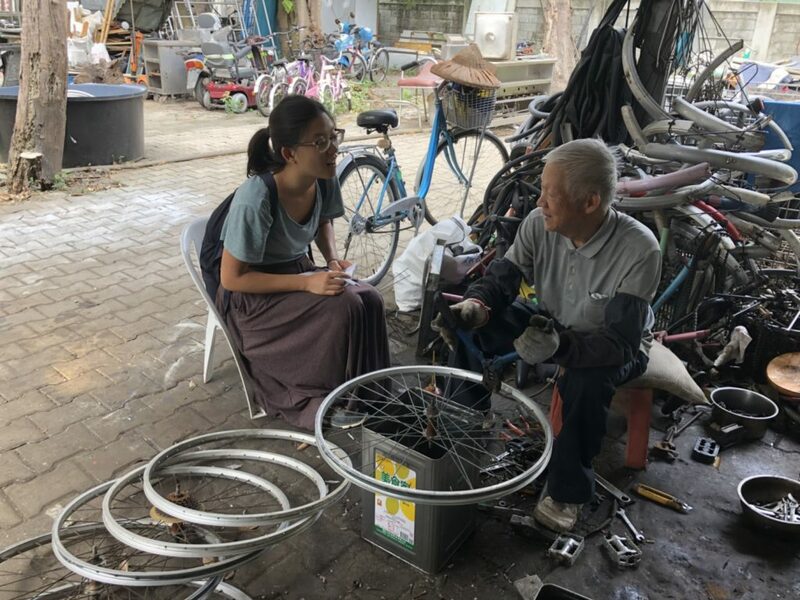 Cissy Suen ’18 interviews a volunteer at the Tzu Chi Foundation, a Buddhist humanitarian organization. This isn’t the first time Suen’s intellectual curiosity has been fueled by a donor-funded award. While at McMaster, she also received the Beale-Lincoln-Hall Exchange Scholarship (established by Mac grad Arnold Beale to promote “the human and social implications of scientific developments”) – as well as the Elisabeth J. McCollum French Travel Award for study abroad. Both awards helped fund Suen’s exchange experience in France last year. 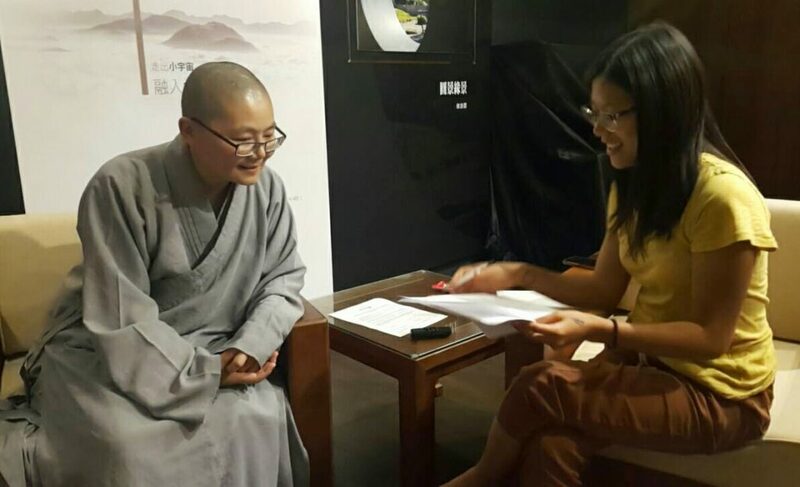 Suen interviews a Buddhist nun in Taiwan. Suen isn’t finished travelling and studying, not by a long shot. After a brief stop back on campus in August, she heads to Germany to begin graduate studies in physics at the Max Planck Institute for Solid State Research and UBC’s Stewart Blusson Quantum Matter Institute. By October 10 (World Mental Health Day), she plans to publish a website that will summarize her Renaissance Award research. One of the site’s goals will be to facilitate inter-university conversations on student mental health. For more information on the Drs. Jolie Ringash & Glen Bandiera Renaissance Award, go to: https://sfas.mcmaster.ca/scholarships/renaissance-award/. Applications open September 1.